Using HTML can help you get the most out of your eBay auction listings. No matter the format, you must be able to make your listings both readable and accessible. In almost all cases, this means being able to use at least a little bit of HyperText Markup Language, or HTML. This is the type of computer code from which all websites (including eBay) are composed. Great new Sigma 24mm lens Focal length: 24mm. Minimum aperture: f/22 Maximum aperture: f/1.8 Aperture blades: 9 Front cap: included Rear cap: included Compatibility: Canon EF Condition: Like New Buy this great lens using Buy It Now and I'll throw in an extra lens carrying bag and lens cleaning cloth. It's a great deal! Shipping Terms Shipped via UPS 3-day service to anywhere in the lower 48 states. Guarantee Guaranteed for 30 days, refunds or exchanges with advance notice only. Thanks for bidding! Ugh, listings like the one above are horrible to read. The seller just needs to learn a few basic HTML techniques to help him present sale items more appealingly. <br> — Inserting these four characters (a less-than symbol, the letters " br" and a greater-than symbol, no spaces between them) causes a line break, similar to a carriage return on a typewriter. Insert one of these in your listing text whenever you want to go to the next line. Insert two of them together when you want to skip a line. <b>your text here</b> — Any text that you surround by opening and closing bold tags (<b> and </b>, respectively) will appear in boldface type. This is very useful for emphasizing text in your listings that you'd like to stand out. <i>your text here</i> — Any text that you surround by opening and closing italic tags (<i> and </i>, respectively) will appear in italic style type. This, too, is useful for emphasizing aspects of your listing that should stand out to your reader. <font size="num">your text here</font> — Any text that you surround with opening and closing font tags that uses the size property will appear larger or smaller than regular text. Replace num with a number from -4 to 4 to indicate the size of the text you desire, with 0 being normal text. Negative numbers produce smaller text, while positive numbers produce larger text. <font color="name">your text here</font> — Any text that you surround with opening and closing font tags that uses the color property will appear in a different color from regular text. Replace name with the name of a primary color that you'd like to use for the text. Among the valid choices are red, green, blue, yellow or brown. You can use all of these tags anywhere in your auction listing, so long as you remember that every tag except <br> must have both an opening and closing tag and that tags must not overlap. To remedy the problem listing, our hypothetical seller has now changed the listing text she submitted to eBay to HTML tags. The text she entered into the listing form now looks very different. We've made the HTML tags bold to help you spot them (you don't need to bold the tags for them to take effect). Though in its raw HTML format the text is a little confusing, you'll see that the result eBay displays to the buyer has now become much, much better. Buy this great lens using Buy It Now and I'll throw in an extra lens carrying bag and lens cleaning cloth. It's a great deal! Shipped via UPS 3-day service to anywhere in the lower 48 states. Guaranteed for 30 days, refunds or exchanges with advance notice only. Want to Use HTML Elsewhere on eBay? Not really an option. In particular, you can't use HTML tags in your item titles or subtitles. 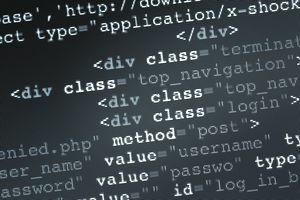 Being able to use HTML in your listings proves a great deal of flexibility, however, and if you decide to get really fancy, you might try your hand at learning some of the myriad other tags in HTML.